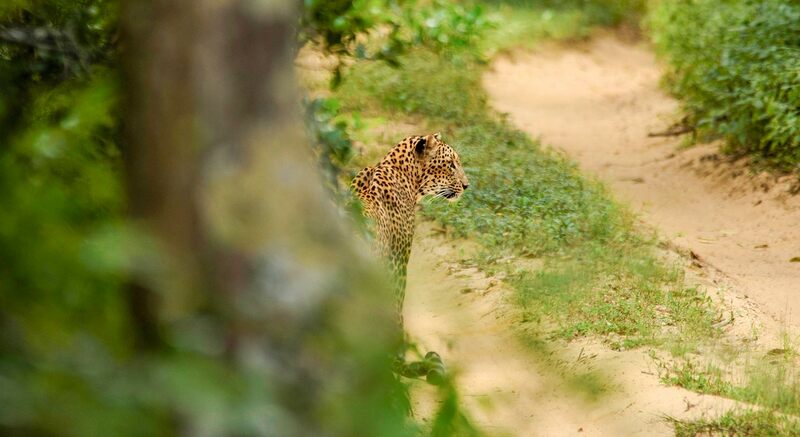 A combination kayaking and the adventure of a Sri Lankan safari in search of leopards, bears and elephants. Accommodation for 2 nights at Willpattu nature resort. 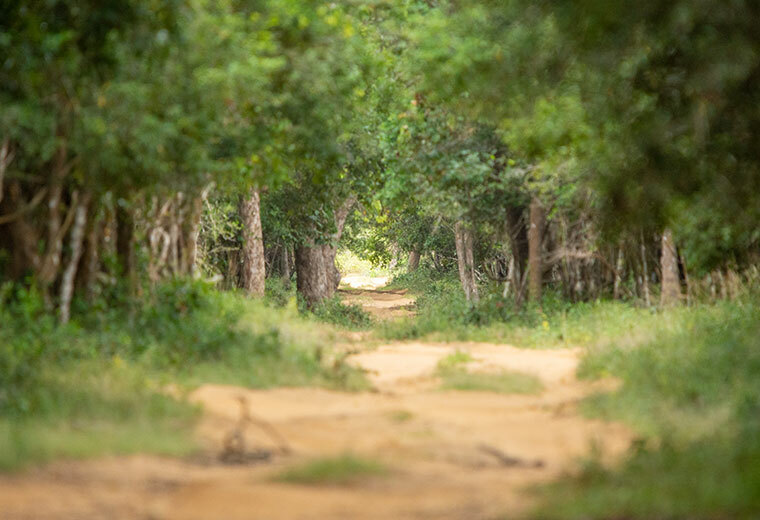 Willpattu Safari including jeep hire and entrance tickets. 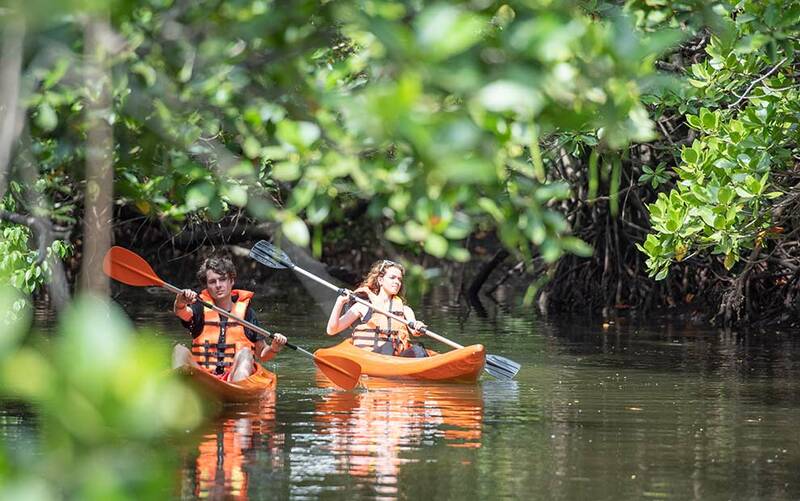 The still waters that flow from the river to the lagoon make it the perfect spot for kayaking. 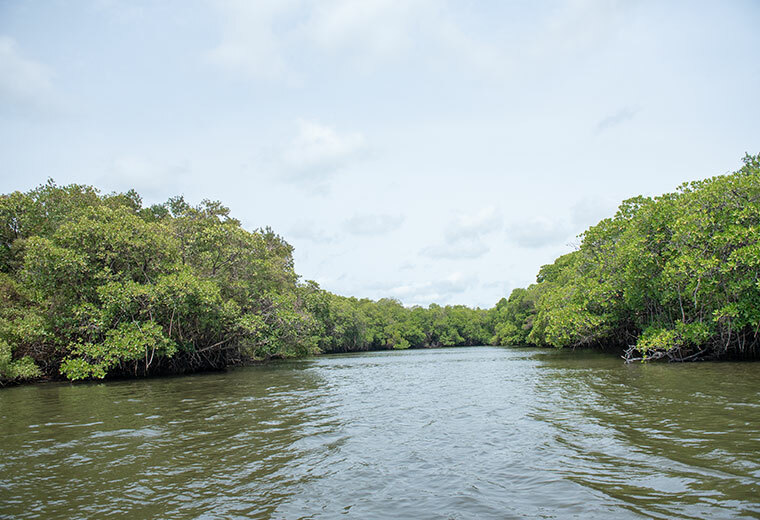 You might even get the chance to help the local fishermen maximize their catch that day. 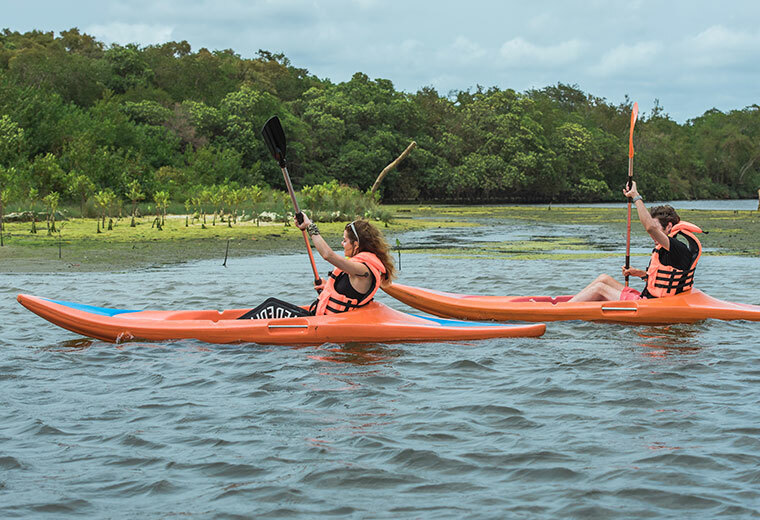 Pull out your kayaks and paddle your way along the river toward the entrance of Wilpattu National Park, where your safari jeep and curious critters await. 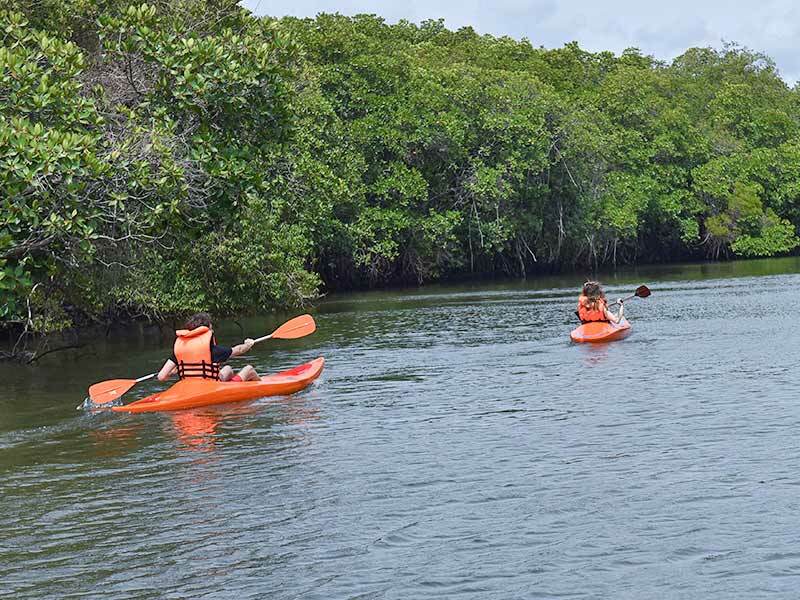 Head out at dawn along the river beds and explore the unique wildlife that lives among the mangroves. Tour ends after the exploration.